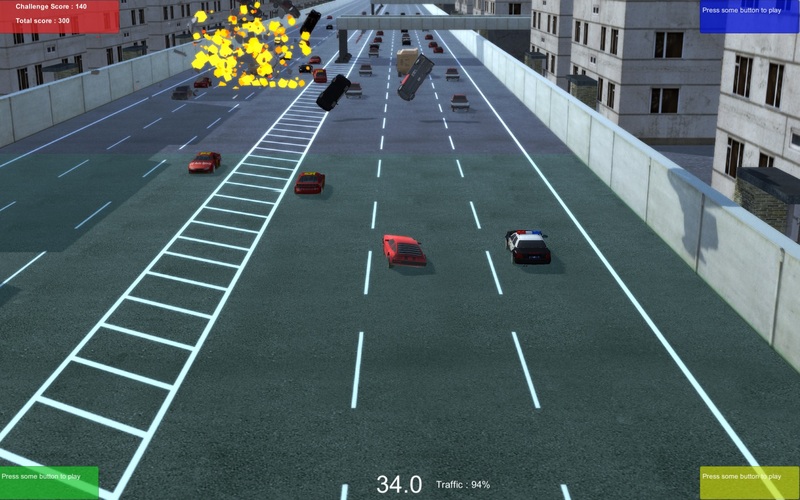 Cartaclysm is a free and open source prototype. It is a game playable by 4 players on the same screen. 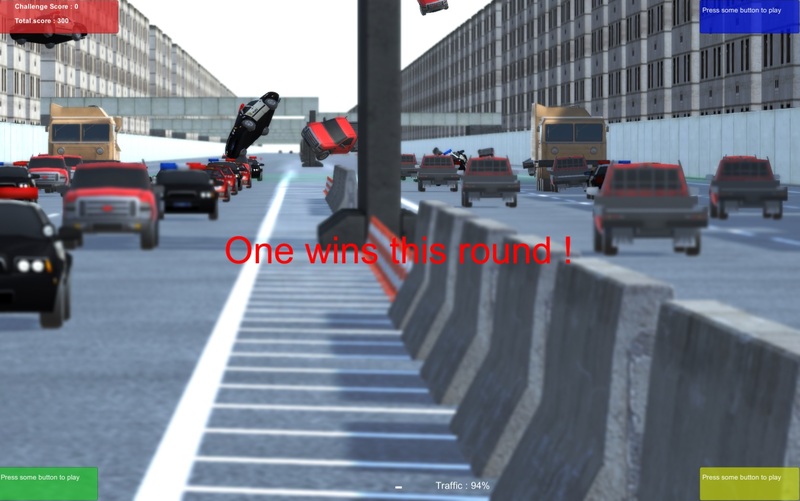 It is a car-game, but not a race: the winner is not the one who finishes first, it is the one who finishes alive with the most points earned by completing challenges. You can see various videos of the game on Youtube. The game is mainly multiplayer. You just have to launch it and you are directly able to play without going through any menu. You can play alone, but I think it will not be much interesting until a proper single player mode with goals and achievements will be added, maybe one day. It may be hard to quit the game: the pause menu is quite bugged. Do not hesitate to use ALT + F4 or CMD + Q.
Xbox controller is not yet supported on Linux. Xbox controller has not been tested on OSX. cartaclysm is maintained by oservieres. This page was generated by GitHub Pages.